Fascinating stuff. 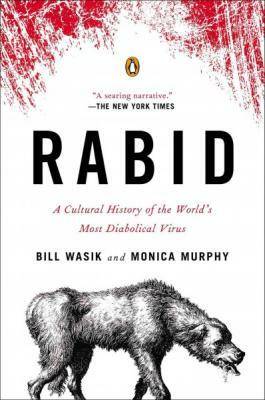 Explores rabies' role in human culture through history, as an atavistic horror bound up with our most basic concepts of what it is to be human, as part of enduring cultural phenomena (vampires, zombies, werewolves, spirit possession), as a deadly scourge, & as a critical scientific problem. As deliciously gory as it is thought-provoking. Bill Wasik is a senior editor at Wired and was formerly a senior editor at Harper's. Monica Murphy, Wasik's wife, is a veterinarian. They live in Oakland, California.